The Ithala Board of Directors is pleased to announce the appointment of Pearl Sizeka Bengu as new Group Chief Executive Ithala Development Finance Corporation (IDFC) with effect from 1 November 2018. Over the past months the Ithala Board of Directors has searched for an appropriate person capable of taking over the reins of the IDFC; a person who has the appropriate experience in both banking and public finance, understands the mandate of the organisation and, in carrying out that mandate, will provide support to the KZN Department of Economic Development, Tourism and Environmental Affairs. Ithala is one of KZN's primary drivers of economic development and a strategic enabler of support for the province's historically disadvantaged communities. The Board said it had engaged robustly with Ms Bengu and believes she will be able to lead the organisation ensuring that it continues to pursue clean and efficient corporate governance; drives economic development in KZN and works closely with Mr Danny Zandamela Chief Executive in our subsidiary Ithala Soc. Limited to achieve a full banking licence which, will enable the institution to compete with other banks and manage government accounts. As the Group CE Ms Bengu will be instrumental in entrenching the organisation's new vision, mission and values, all geared towards intensifying Ithala's effort to spearhead development in KwaZulu-Natal and regain relevance in the province. Ithala's five-year strategy is driven by its mission statement "A bridge to a better life" for the people of KwaZulu-Natal. As a bridge the organization is an enabler across its portfolios of finance, property, business development and corporate social investment. To meet its mandate Ithala's strategic goals are to drive SMME and cooperative development; recapitalize and grow the property portfolio; improve financial sustainability; forge development partnerships with the private sector; improve the experience of our customers and drive radical economic transformation in the province. Ms Bengu, who has 20 years of service in Public Sector Banking at First National Bank and six years of service at the helm of the regional division of SASSA, has a keen understanding of our strategic goals and what it takes to ensure we meet them according to the Ithala Board of Directors. During Bengu's tenure at FNB she became KZN Regional Director Public Sector Banking. She was responsible for implementing a strategy and execution plan to acquire and retain public sector accounts from provincial government, district and local municipalities to all education institutions and affiliates. 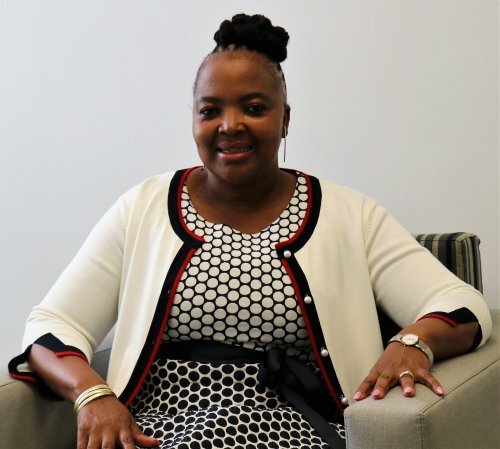 She left banking to head up the KZN office of the South African Social Security Agency as Regional Director and had a stint as Acting Chief Executive of the organization during which she contributed positively to its turnaround and ensured processes were streamlined. The Board thanked Mr Themba Mathe for his time and effort in managing the organisation as Acting Group Chief Executive for the past year. His willingness to step up and lead the organization for the past year was appreciated and it is hoped that Mr Mathe would continue to serve Ithala with distinction.